I love worms! 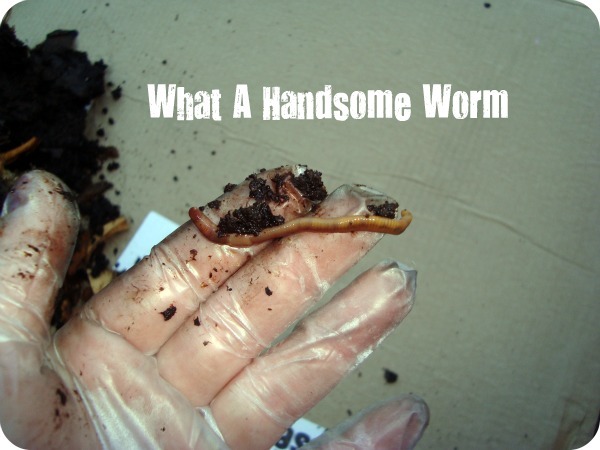 They can eat their body weight in food scraps in a little more than a day. What a great way to make compost and surprise the neighbors with you rather interesting little pets. Vermiculture is composting with worms and let me tell you the things vermiculture does to my tomato plants is better than any fertilizer you can by. I live in Cleveland Ohio (not known for gardening weather) and I have eight foot high tomato plants. can you say that? Since gardening season has ended for me and the frost is pretty much here I had to harvest my little wormies to collect the fertilizer and bring them inside. Honestly this bin had been outside since it got warm in Cleveland (May I think?) and it looks a little rough. So lets get started. 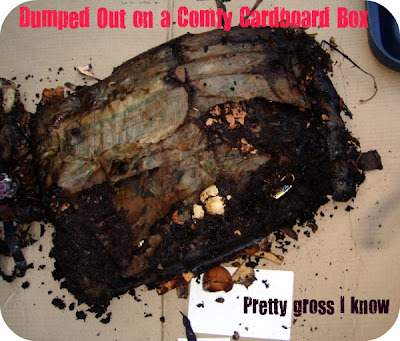 Dump your wormies on a lovely piece of cardboard that you do not intend to use again. 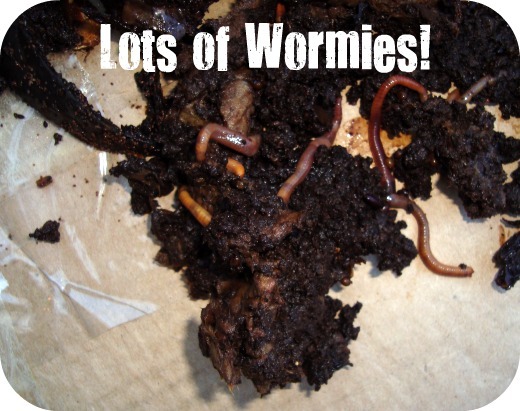 The worms hate light so you will have to remove the top portion of the compost heap to find any of them. 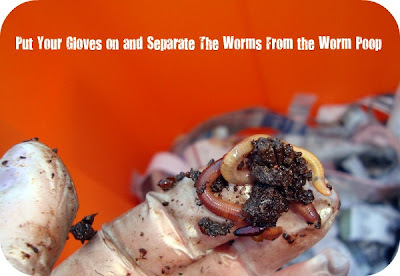 Now all you have to do is slip on some gloves and separate the wormies from the compost. 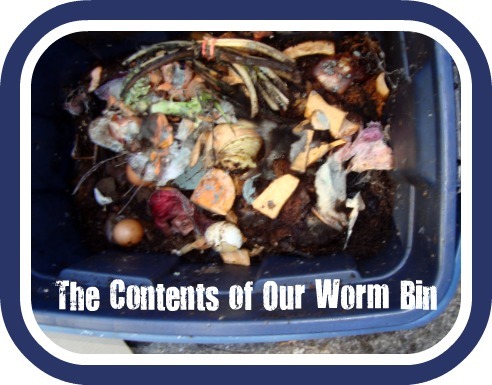 Where do you put the worms? Well in a your handmade vermiculture container of course. Stay tuned for a tutorial on how to make this bad boy in the upcoming weeks. Love the orange? I know I do. 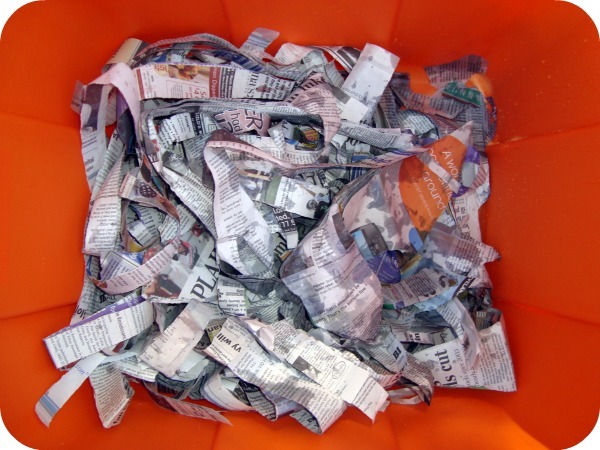 If you have any vermiculture questions I would love to answer them. Just post a comment below. It is fun, the kids love it, and honestly as long as you do it right it does not smell.